The nethereye is a hostile mob that spawns in both the Overworld and the Nether. Nethereyes spawn both in the Overworld at night, and the Nether, in which they more commonly spawn. Nethereyes may drop Obsidian, Nether brick, bedrock (rarely). If killed in the nether, they have a small chance of dropping nether wart. 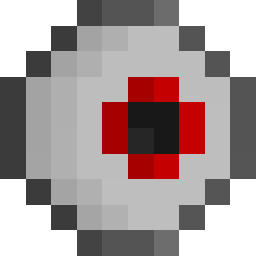 Nethereyes have 10 hearts, equal to the health of the player. Nethereyes are one of the four mobs (the others being the Blaze, Ghast and Ender dragon) in the game with the capability to fly. When they are not attacking, they will float around randomly in any direction. When they are flying upwards, they will be forced down by gravity, so they usually do not fly too high. If they are targeting another mob or the player, they will fly towards it quite quickly. Sometimes Nethereyes glitch into or out of blocks. Nethereyes are one of two hostile mobs (the other being the Enderman) that spawn in more than one dimension. Nethereyes are said to have broken out of the the Nether, and this is why they drop nether brick in particular. Nethereyes used to have legs and walk around. They used to be called Nether Walkers, but their name was changed after their behavior was changed. Nethereyes are still named "Nether Walkers" in the game's code. Prior to the 1.23 update, Nethereyes had a problem with movement, causing them to always go the wrong direction when attacking the player. This made finding and killing them harder, but avoiding them very easy. This page was last edited on 4 April 2019, at 21:28.